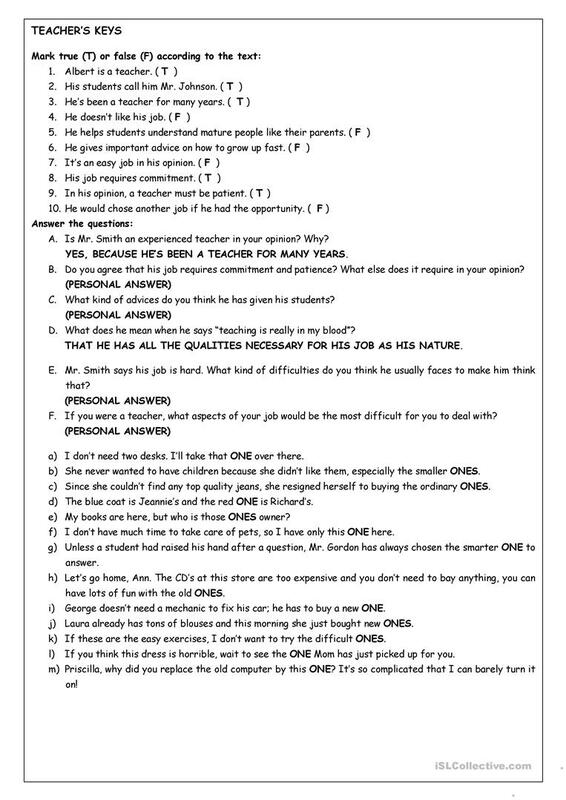 Another printable of the series “jobs” with a short text and four tasks (true or false, questions (2), gap-filling) dealing with reading comprehension and grammar (pronoun “one”). The keys are included on the last page. The worksheet is completely editable / correctable. 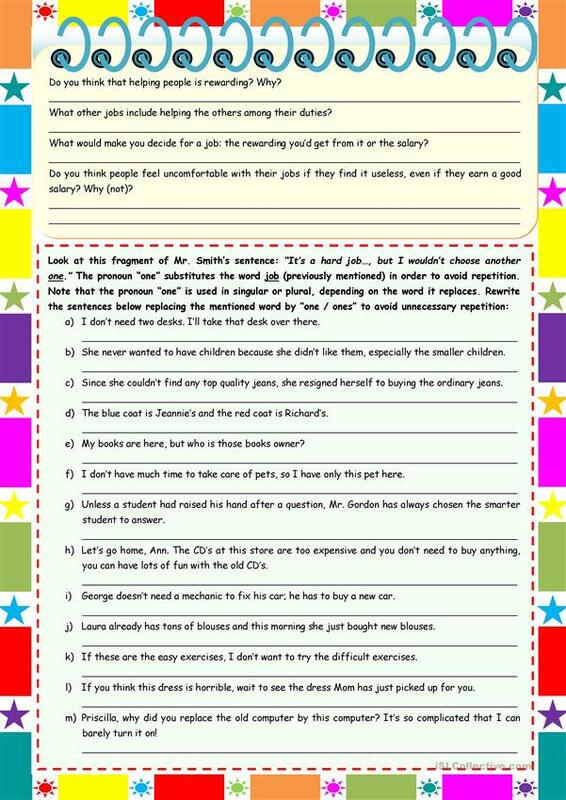 Hope it’s useful. Thanks for downloading and have a nice day! This downloadable worksheet is best suited for elementary school students at Pre-intermediate (A2), Intermediate (B1) and Upper-intermediate (B2) level. 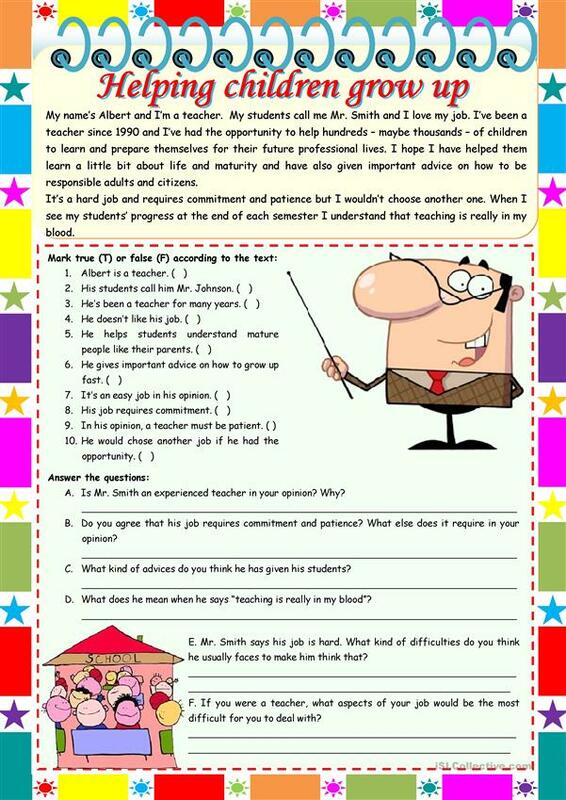 It is great for practising Personal pronouns in English, and is excellent for strengthening your pupils' Reading and Writing skills. It centers around the theme of Jobs, work. The solutions are provided, too.